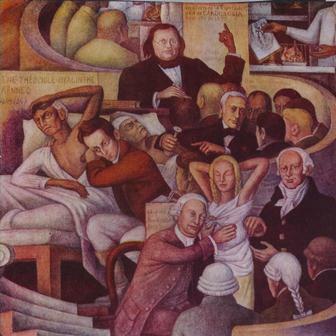 The murals depict the men and the one woman who were the innovators of this development. 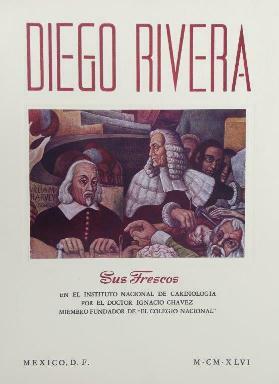 In 1946 Dr Chavez wrote and published this booklet, 32cm x 25 cm, which tells the history of cardiology as shown in the murals and which is illustrated with very good reproductions of them. It was a limited edition of 130 copies. We have two copies of this booklet. 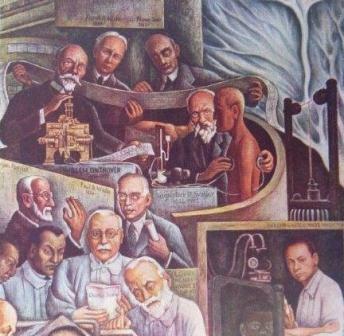 One was donated by Dr Fause Attie who we thank for his generous gift, and the other was the property of Sir Thomas Lewis (1881-1945) who is shown in a mural. 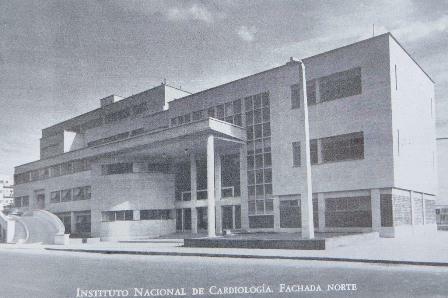 Instituto Nacional de Cardiologia 1944.